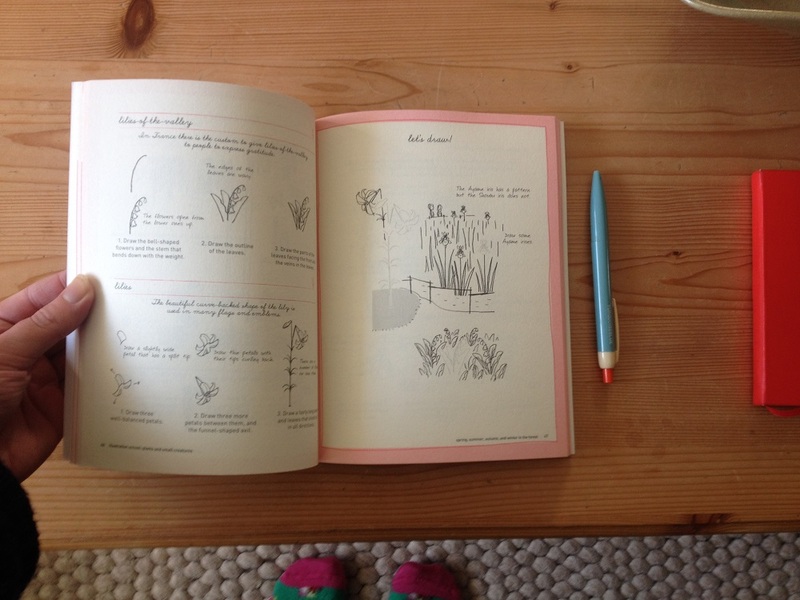 A little while ago on the blog, Danni wrote about a rather lovely book by an illustrator called Sachiko Umoto. 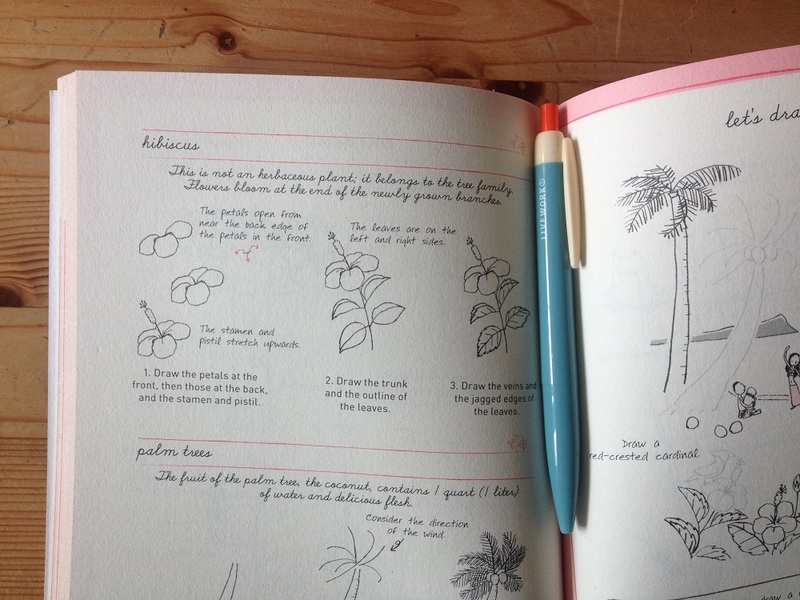 During my recent travels, I flew out of Bali airport and, while idling away the time in the airport bookshop, I stumbled upon another publication by the same illustrator, Let’s draw plants and small creatures. 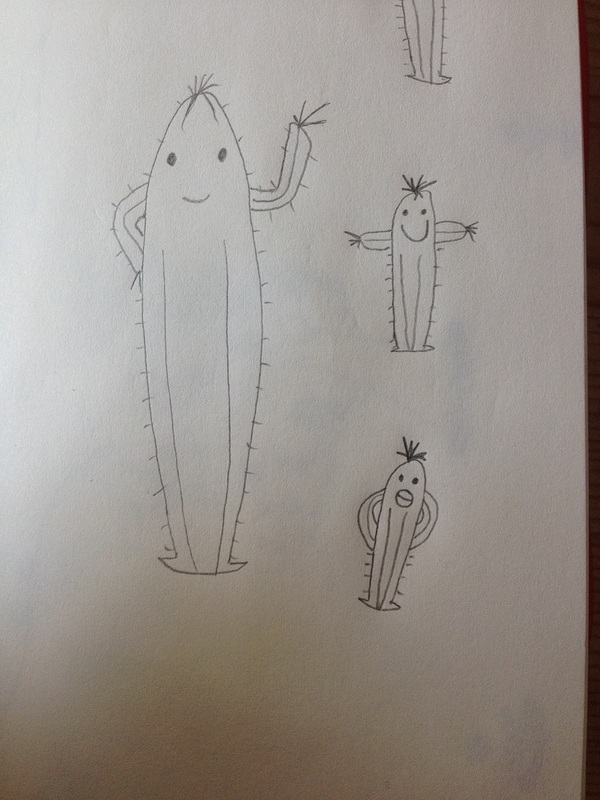 My first drawing from the book – the cactus kid. Not sure what happened to the one at the bottom’s lips though – allergic reaction perhaps? 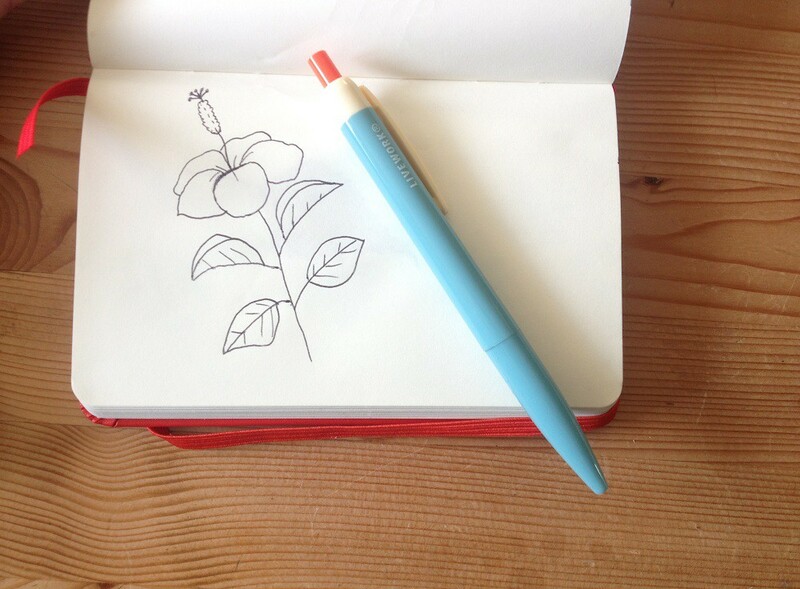 Really loved drawing this hibiscus flower – though as I was drawing in pen I couldn’t do the leaves quite right. Still pleased with the result though. 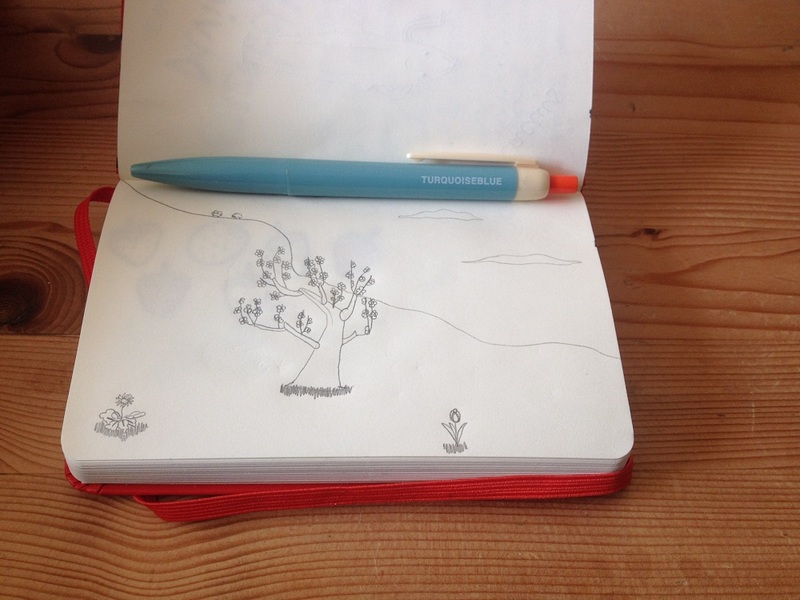 I tried my hand at a scene featuring many delightful things such as a tree, a hill, clouds and some flowers. 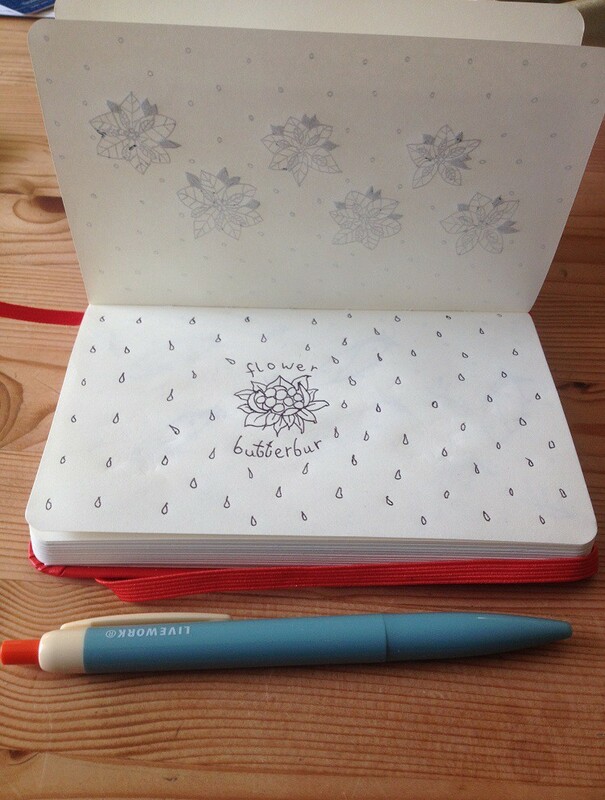 Since I started a “patterns” board on Pinterest I’ve been unearthing patterns all over the place – so I decided to try my hand at creating some patterns, at the centre of this is the Butterbur Flower (as you might have guessed). 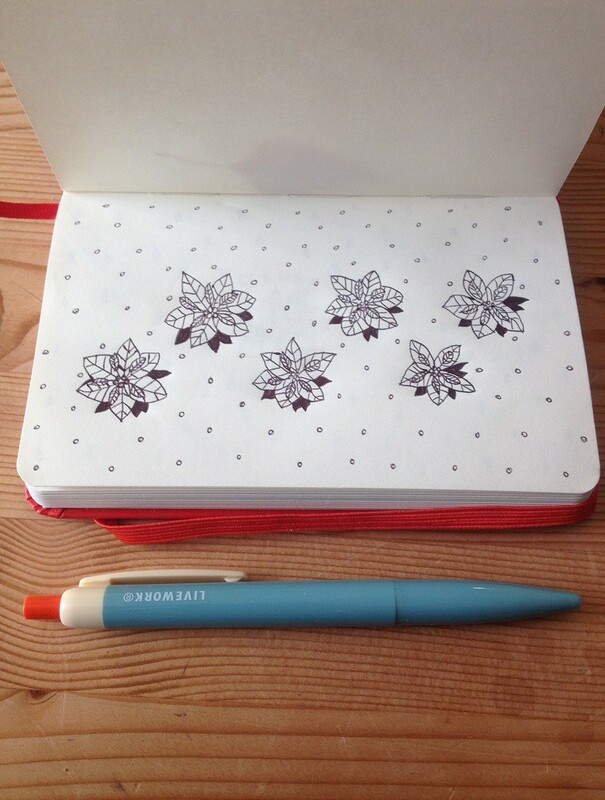 And this pattern using the poinsettias drawing from the book. 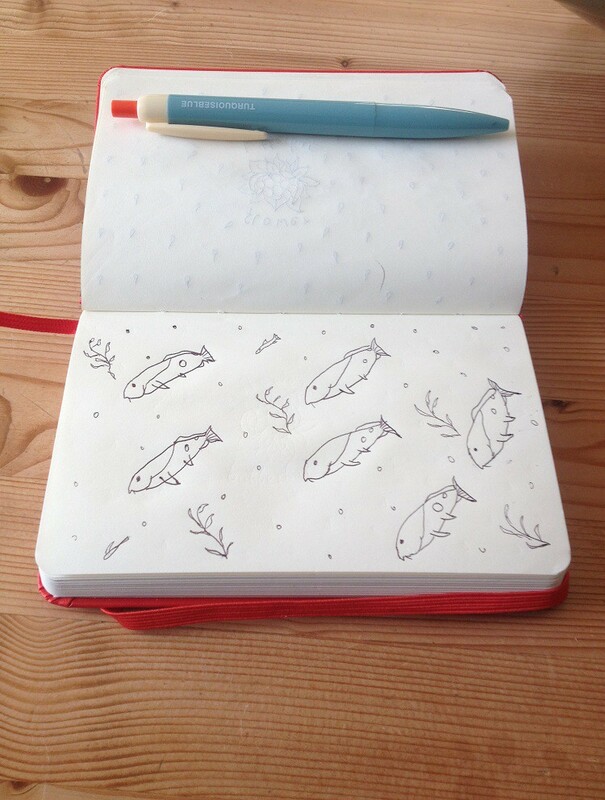 And finally this underwater vista using the carp from the book. 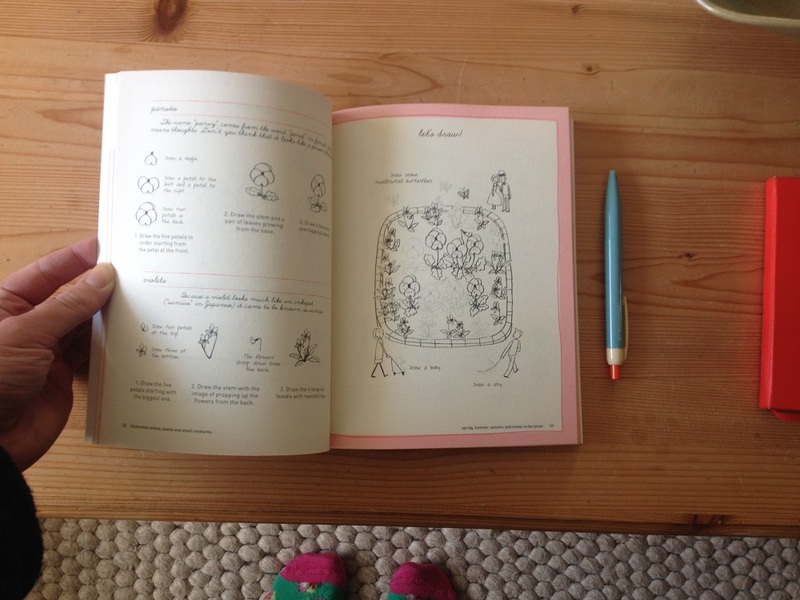 The book is published by Quarry, and you can buy from Cass Art online as well as many other retailers and don’t forget to check your local bookshop too. Go buy it and then draw to your heart’s content. It also happens to be National Doodle Day today so why not show a bit of line-drawn love to the charity Epilepsy Action and get drawing for them. They also have a rather wonderful doodle auction taking place on eBay, including doodles from the likes of Grayson Perry and Raymond Briggs (I am very tempted by the Grayson Perry auction…). I'm Charlie Parker. Whilst I don't play sax I do play the ukulele. I'm a digital marketing professional living and working in Vancouver, Canada. I am prone to wanderlust, I ❤️ children's books and am a dedicated knitter. 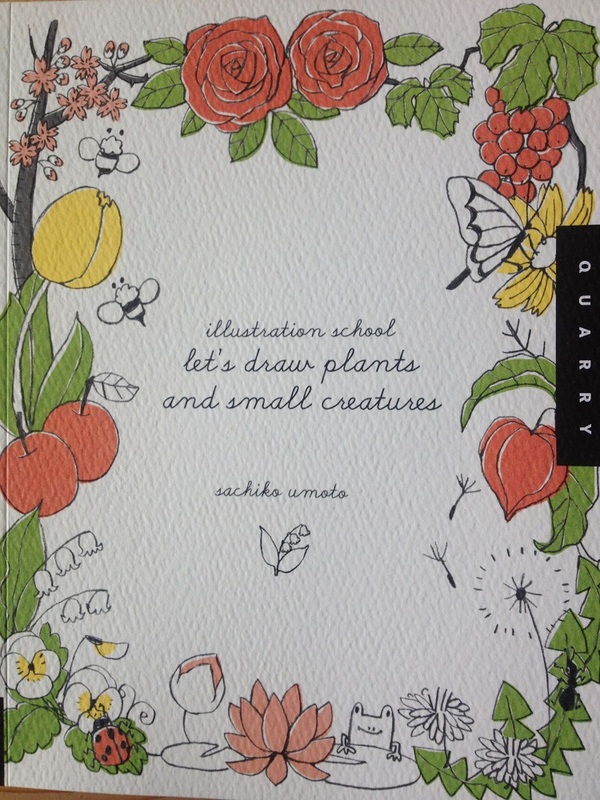 This entry was posted on 06/02/2015 by thisischarlie in book reviews, Books, Drawing and illustration and tagged Book Review, Books, craft books, drawing, drawing guides, How to, how to draw, Illustration, let's draw plants and small creatures, Sachiko Umoto.